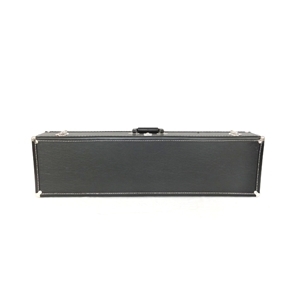 This case is for bass clarinets that have the low Eb key on the bell. Fits all makes. Black levant vinyl covering. Plush lined with extra padding. ** Please note: The case comes with loose padded blocks that will need to be screwed into the case prior to use. The placement of these blocks varies depending on the model of the instrument. It is recommended that the customer bring the instrument to Ellis Music and have the blocks properly installed.